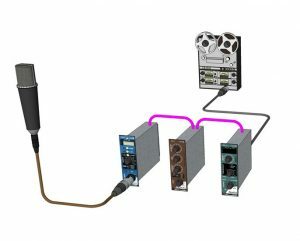 The PowerPre is a high performance microphone preamplifier designed for use with any 500 series modular rack, featuring 100% discrete components for optimal signal transfer and a Hammond output transformer for a smooth and warm tone. 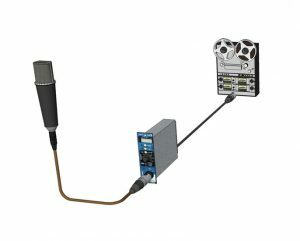 The PowerPre is designed for clean low-noise operation, with an AccuState input stage what automatically optimizes signal-to-noise at all levels with up to 55dB of gain available. 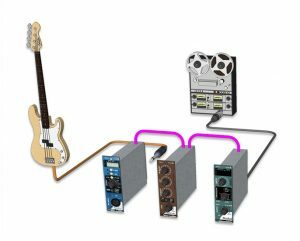 A Hammond broadcast transformer on the output provides vintage warmth and a classic smooth tone, and a Vox switch allows you to add extra character to the signal: The Breath setting adds high frequency air that can accentuate a vocal track or add harmonic content to an acoustic guitar, while the Punch setting adds body when recording electric guitar or it can be used to fatten up bass tracks. The PowerPre fits any 500 series rack. In its most basic setup, you connect a mic to the PowerPre and send the XLR out to the recording system. 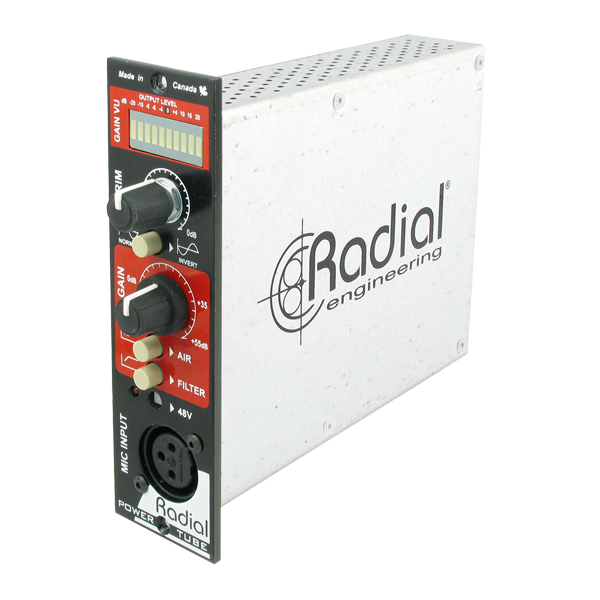 Single dial control makes recording easy and efficient. 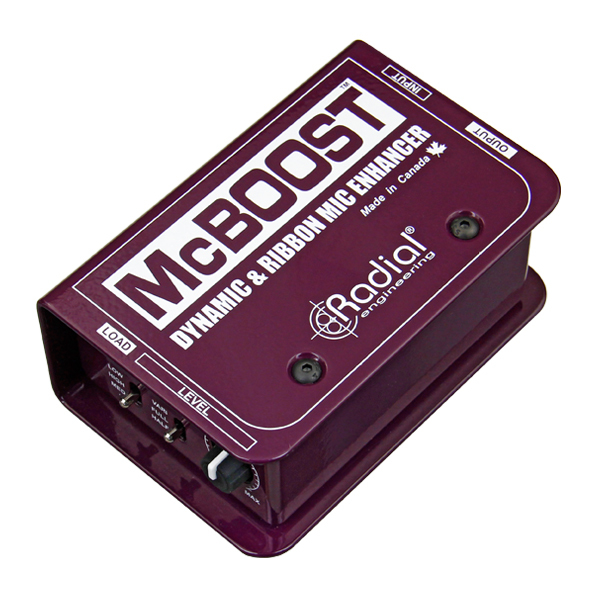 Use the PowerPre as the front end to drive an EQ and compressor to create the ultimate channel strip. 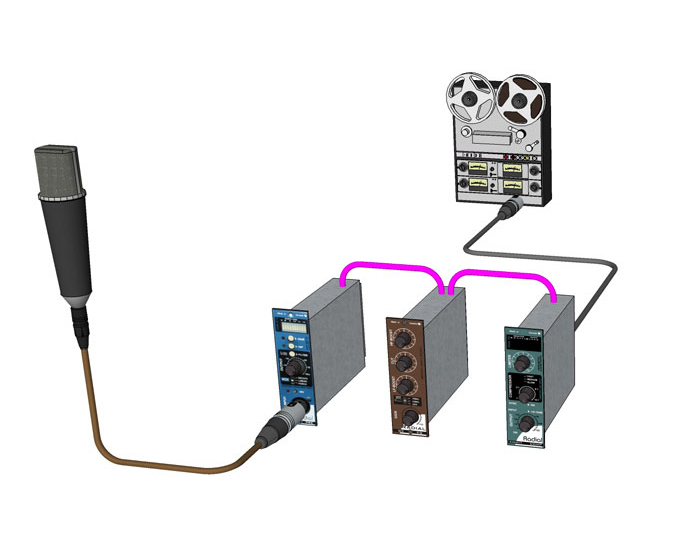 Simple cascade one module into the next and send the final output to your recorder. The PowerPre is not just for mics! 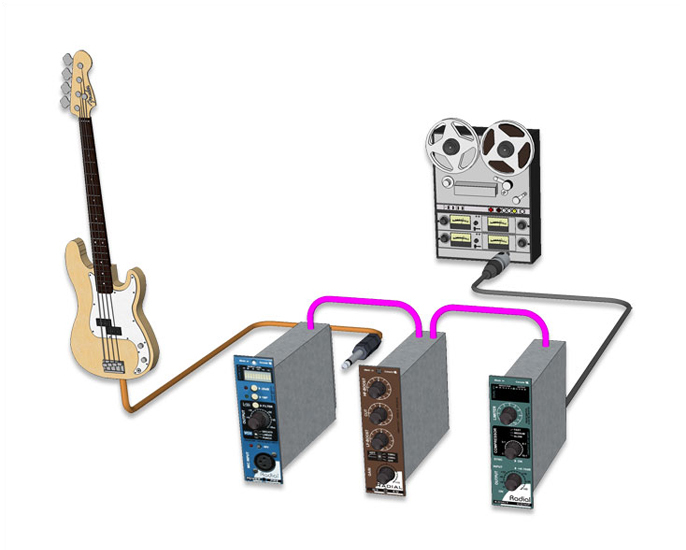 If you have a Workhorse, you can also use it as the front end when recording instruments or tracking a bass direct. Simply plug into the Omniport and you are set to go. "A feature-packed mic pre with a very savvy, 3-position Vox switch for adding breath, punch, or transparency... 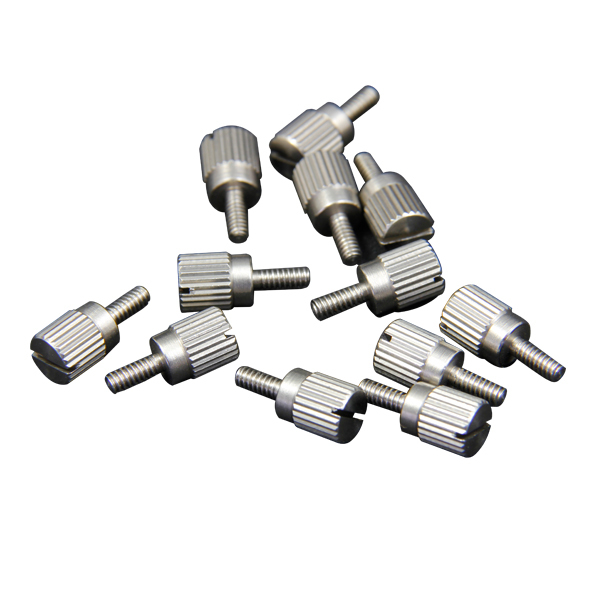 This is a very versatile tool." 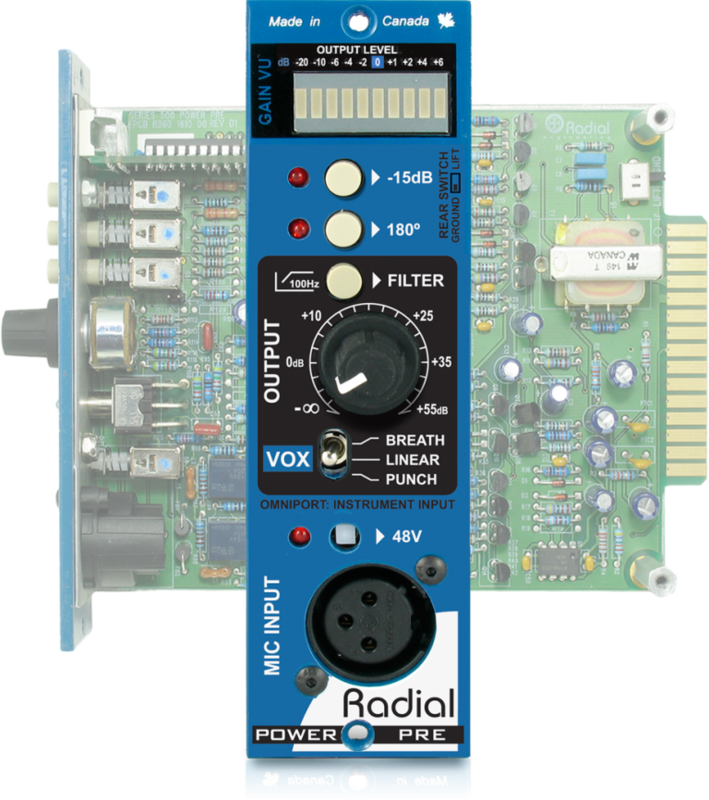 "The PowerPre is a fine example of a well designed, low-noise mic preamp that can give a bit of 'meat' or 'air' to a signal thanks to the transformer output and Vox voicing EQ. 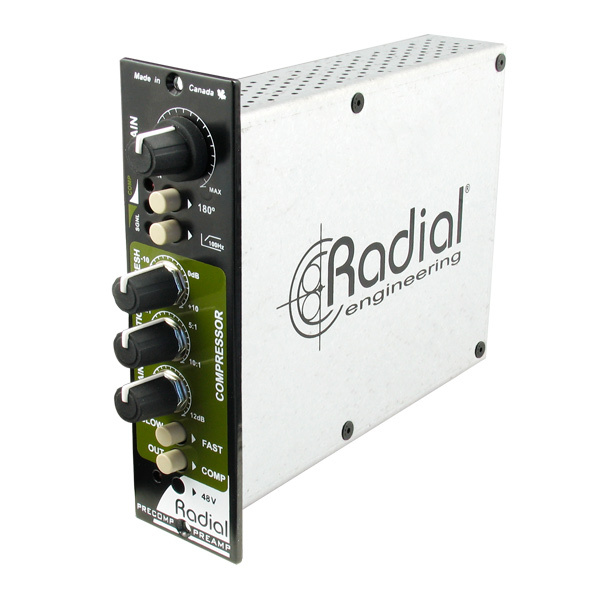 It may well be your preamp of choice." "I would call the PowerPre full, solid and clean with a classic vintage sound. If you think of the sound of deep rich vintage radio announcers, you will be in the ballpark of the PowePre's sonic vibe. 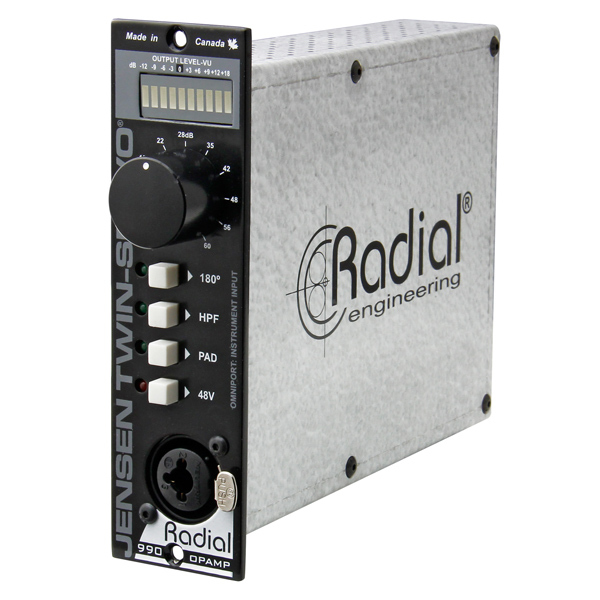 This is a stellar and unique sounding preamp." "The PowerPre celebrates its own individuality by offering a carefully conceived set of controls that let you extract an expansive range of character. In practice, I found it to be very quiet at all settings. It should be on your short list." "The PowerPre is a must hear. 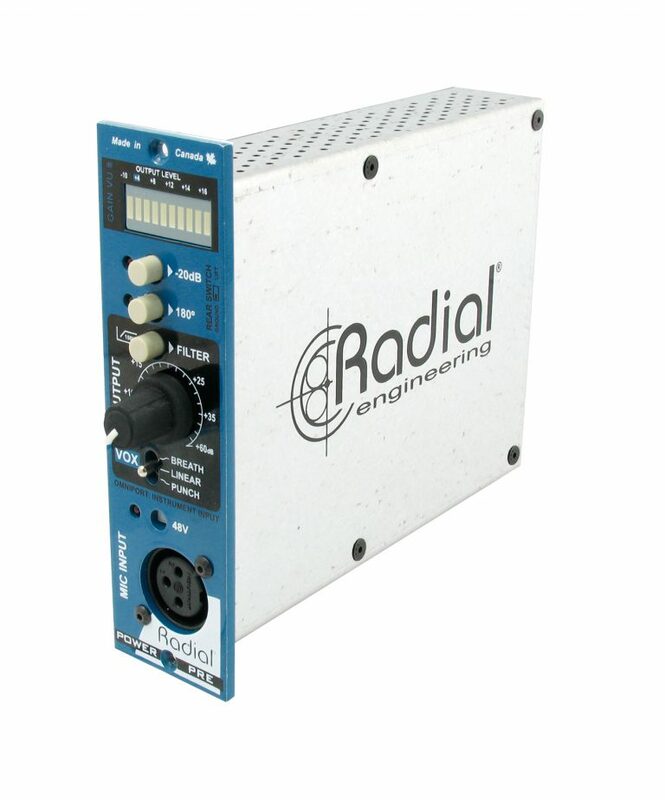 I used it for recording vocals, guitar amps and drums with great results. 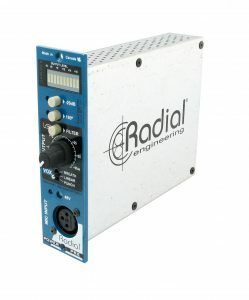 It is particularly good in high transient, high SPL situations where you can drive it hard for more transformer color." "In linear mode, there's plenty of detail and nothing harsh or unpleasant. Breath mode adds a gentle lift for clarity while punch boosts the low end. Both are unsubtle but very usable."